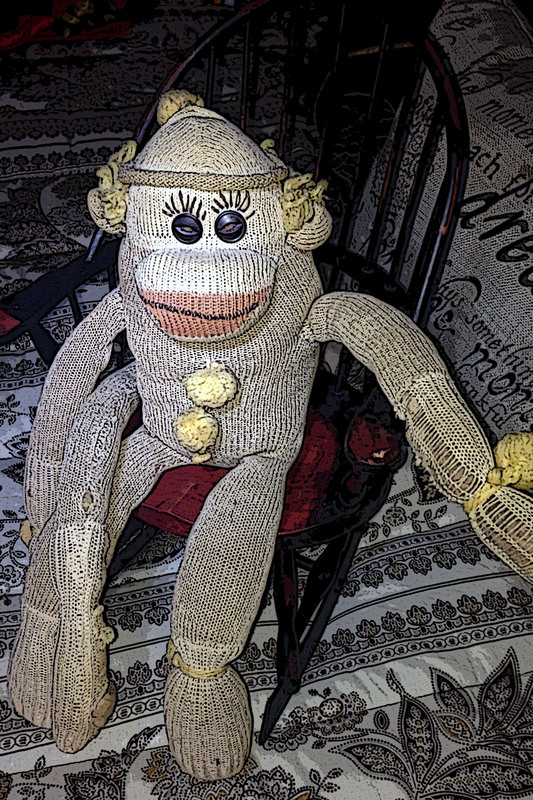 I wax nostalgic when I think of my sock monkey. He has been there for me through thick and thin. The early years were tough. He probably got swung by his tail, cried on, squeezed and ignored when a new doll came to town. Through it all, he survived. Often, he is perched on a shelf in my stairwell, observing my comings and going, never judging and always stalwart.